My name is Michael Kelly and I am a senior that is matriculated into the Bioscience Major and Chemistry Minor here at Farmingdale State College. I am a pre-medical student hoping to one day become a cardiothoracic surgeon. I am heavily involved on campus, being a part of an ample number of clubs and organizations, while holding many credible leadership positions. Some positions include Senator for Student Body at Large for Student Government Association (SGA), Secretary for Student Government Association (SGA), President of Golden Key International Honor Society, Treasurer of Golden Key International Honor Society, President of Beta Beta Beta Biological Honor Society (Tri-Beta), Rambassador, and an Orientation Leader. I am also a full-time student at Suffolk Community College who is enrolled in its A.A.S EMT: Paramedic program and will be completed June 21st, 2018. Since I was a child it was instilled in me to respect others, but more importantly respect yourself and stay true to your core values as an individual. I was also taught to treat others the way you want to be treated even if the outcome is not in your favor but always being the better person. Don’t break your frame and character because once that happens you just lowered yourself into a different category that you do not belong to since it will shatter your morals. While growing up I was raised by a loving and caring family. I would not be the young gentleman I am today if it was not for my family, close friends, and professors. They constantly support me, test my abilities while pushing me to grow and to mold me into a better young individual every day, so all the credit goes to these wise individuals. 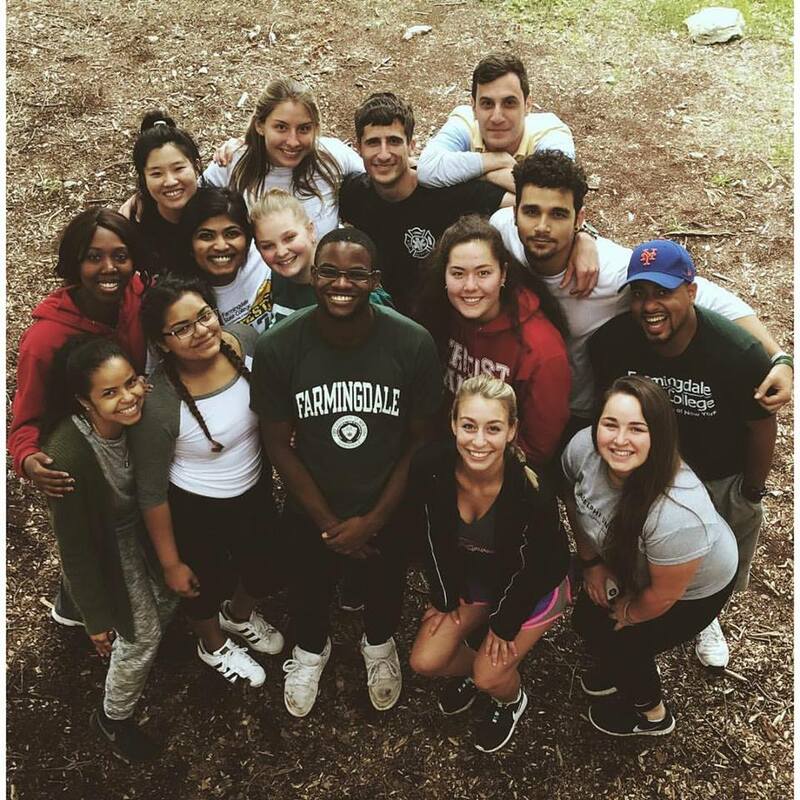 Farmingdale State College has become my second family to where all the resources and assistance are provided for self-investment and growth. In this community individuals are very helpful and friendly. You are who you surround yourself with so with that being said I tend to gravitate toward a more professional atmosphere. Everyone lives different lives and has their own purpose and lifestyle. Over the years growing up I have learned that I am a determined and focused individual that wants to achieve my goals and objectives and will do what ever it takes until I achieve them. I am always a believer in paths crossing because people do not enter your life without a reason or a purpose. They can either be a blessing or a lesson and if they are a blessing treasure those individuals and never let them go. Some people you will realize are very similar to yourself and this is where you grow, by surrounding yourself with like-minded individuals that want to see each other succeed and be successful. Life is not a competition and to take advantage of others for your own self growth. Don’t dim your light just to make other people feel comfortable. Your family is the best team you could ever have. Life has many challenges that you must overcome and conquer, you are always being tested and pushed to your limits even if you do not see it at first and are blinded by it. The people in your life should be a source of reducing stress not causing more of it. Pain changes people, every pain gives a lesson and every lesson changes a person. When a situation goes bad and you find yourself in a tight space your support network is always there for you, mine being the ones previously mentioned. At the end of the day family is all that you have and will always see the light in you at your darkest hours. Family is everything. There is a purpose and there is a reason for every action and behavior in your life that you encounter to teach you to grow and realize what your morals and values are. In the process of discovering who you are as an individual and what your sole purpose in life is meant for, always have self-respect in every situation and be an open-minded, critical thinker. Be more of an observer of actions and listener, speak only when you feel that your words are better then your silence. Move in silence and only speak when it’s time to say checkmate. Let your actions be known in your work because when something is important enough you will do it even if the odds are not in your favor. The most dangerous person is the one who listens, thinks, and observes because silent people have the biggest minds so don’t mistake their silence for their weakness. The biggest risk in life is not taking any at all and missing that opportunity you never took because you never know it could have changed you for the better. Keep your circle small, so small that you talk to yourself. This is because less fake friends, less drama, and hurtful actions. The most dangerous creatures on this earth is a fake friend who tries to bring you down. Never forget who was there for you when no one else was. Listen to many and only trust a few because sometimes who you think are your friends are not and their true colors show when their mask falls off. Always maintain your composure in every situation and don’t back down if you disagree with a situation. Tough situations always build strong people. Even if a situation ends badly it’s worth it because if it made you feel something it taught you something. This will help grow your morals in life. Sometimes people don’t see what you see and are not on your path to success. Be patient because great things take time and empires are not built in a day; it is built on your character, morals, and values in life. Sometimes it takes years to get that one opportunity that will change your life forever. Some people will ignore you when you start to grow and develop your values in life but trust me in the future they will need you for something. You will encounter different situations and events that will test you constantly and will push what you value in your life. Always value family, your health, and your education as your top priorities where everything else is a benefit. Always cherish those who will go far and beyond for you even when it is inconvenient and will drop what they are doing to help you in a time of need. Those that also check up on you daily to see how you are doing, never let these individuals go because in today’s world it is very rare to see those that actually care. People in life will test your core strengths and sometimes you might think about giving up, but don’t, never give up and never back down because you have a lot of people to prove wrong. When someone tells you that you can’t do something in life that is your key motivation. It should be your drive to go further because someone who tells you that you can’t do something in life is just showing you their limits and strengths. The greatest pleasure in life is doing what people say you cannot do. Be a spark that ignites a flame in the lives of others. Don’t dull anyone’s flame and always have respect and maintain who you are and what you stand for in life. You can’t achieve anything in life without a small amount of sacrifice and risk. You can’t stop someone who knows where they are going. No one will ever protect you like your own family. Everybody will love you until you become competition and a threat to their views. It doesn’t matter how others see you, it’s important how you see yourself because the only competition you have is the individual facing you in the mirror. Respect is for those who deserve it, not for those who demand it. Respect is earned not given, how easy it is to get it is proportional on how easy it can be lost. Never trade respect for attention. Knowledge will give you power, but character will give you respect. Never be bullied into silence and never allow yourself to be made a victim. Always have self-respect for yourself in every situation. Sometimes you need to walk away from a situation or individual. This is not showing a sign of weakness but more of a sign of strength that you value and have respect for yourself. Accept no one’s definition of your life because you define yourself. Never let your emotions overpower your intelligence and never reveal everything you know. Do not let people who did not go after their dreams talk you out of yours. Make your family proud, your enemies jealous, and yourself happy. Even if it shakes you never let it break you. No one is you and that is your power.